By Russell Jones. First published 2009. If there is one person who should be awarded the credit for the creation and development of Melbournes electric tramway system  the largest such tramway in the English speaking world  that honour should go to Alexander (Alex) Cameron. One of twin sons born on 5 August 1864 to John and Barbara Winifred (née Taylor) Cameron at Morgiana station, near Hamilton in rural Victoria, Cameron was educated at Hamilton College, and the University of Melbourne. In March 1881 he was articled to a Hamilton solicitor, moving four years later to a Melbourne law firm. Cameron was admitted as a barrister and solicitor to the Supreme Court of Victoria in September 1886. Some three years later, Cameron established a partnership with Samuel Crisp. In June 1892 he married Mary Wright, and they set up home in Malvern. In 1902 Cameron was elected as a councillor to Malvern Town Council. His drive, energy and business acumen were soon recognised, and he was appointed as Malverns representative to the Melbourne and Metropolitan Board of Works (MMBW). This body was responsible for Melbournes water supply and sewage treatment and disposal, and as a result of this function became the de facto planning institution for the suburbs of Melbourne. The MMBW appointment aligned strongly with Camerons interest in suburban building regulations, but his particular passion, and one that would dominate the rest of his working life, was the provision of efficient urban public transport. At the time, inner Melbourne possessed an excellent cable tram system operated by the Melbourne Tramway & Omnibus Company, but its last new line had been completed in 1891. The company showed no interest in expanding the network any further, having been severely affected by the depression of the 1890s. Outlying suburbs such as Malvern were ill-serviced by existing public transport, which was constraining both residential and commercial development in the area. The new technology of electric tramways offered the potential to build suburban tramways without incurring the massive capital construction costs of cable tramways. Cameron seized upon the potential of electric tramways to develop Malvern and became the key figure in the battle to establish suburban tramways. In the face of trenchant opposition from the Victorian Railways, he was finally successful in obtaining Parliamentary support for the establishment of a suburban tramway through the passing of the Prahran & Malvern Tramways Trust Act 1907 (no. 2130). This Act created the Prahran & Malvern Tramways Trust (PMTT) as a body corporate of the Prahran and Malvern Councils to build and operate electric tramways in the two municipalities. Camerons role in winning support for the tramway was recognised by his election as the first PMTT Chairman on 16 March 1908. During his tenure, the PMTT rapidly expanded in size and became a profitable and efficiently-run enterprise, soon becoming the largest electric tramway undertaking in Melbourne , and due to this performance Cameron became recognised for his expertise in the field of urban public transport. 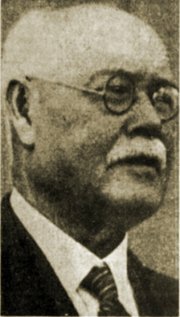 Both his management capability and his experience was further acknowledged in 1919 through his appointment by the State Government as the first full-time chairman of the newly constituted Melbourne & Metropolitan Tramways Board (M&MTB). The remit of this new organisation was to bring all the Melbourne tramway systems (except those operated by Victorian Railways) under the control of a single body, convert the cable trams to electric traction and significantly extend the tramways into new suburbs. In March 1923 Cameron left Australia on an extended study tour to examine the operation of other urban public transport systems. He returned the following year with confirmation that replacing the cable trams with an extensive electric tramway system provided the best option to solve Melbourne’s urban public transport issues. Furthermore, the experience of overseas operators showed that the use of overhead wires was more cost-effective than the underground conduit system used in London, New York and Washington that was being promoted by some Melbourne interests. The direction promulgated by Cameron was accepted by the State Government through approval of the General Scheme for development of Melbourne’s tramways. However, significant interest groups opposed the implementation of the electric tramway system using overhead wires, holding that they were an ‘unsightly’ intrusion into the city streetscape, and that electric trams were noisy behemoths that created traffic congestion. This opposition was crystallised by the replacement of the Collins Street cable trams in 1927 by electric trams, and a concerted campaign was led against both Cameron and the M&MTB by the Herald newspaper. Despite the virulence of the campaign, the conversion project went ahead, although Cameron had to battle continuing criticism over the replacement of cable trams by electric trams. He presided over the massive expansion of the electric tramway system, which he pursued with great energy, a quality also displayed in his tenure as Chairman of the Prahran & Malvern Tramways Trust throughout almost its entire existence. Cameron clearly demonstrated great leadership and management capability, resolving the many challenges of creating the electric tramway system that would serve Melbourne so well. He established a vertically integrated organisation that did everything from rolling stock construction and maintenance, to tramway construction, to the real reason for the existence of the M&MTB: tramway operation. However, Cameron was not only a good manager  he was also astute at managing the financial position of the M&MTB. This was shown by the deferral of cable tram conversion work during 1928 and between 1930 to 1934. This assessment may be belied by the relatively few surpluses achieved during his reign at the helm, but it was really not in the interest of the M&MTB to generate surpluses at all. The reason for this is that under the Melbourne and Metropolitan Tramways Act (no. 2995) the M&MTB was obliged to distribute large surpluses to the municipalities in which it operated, unless it could obtain the agreement of the Minister to retain these surpluses. Therefore, apart from the first four years of operation, Cameron ensured that the M&MTB ran either small deficits or surpluses, and maximised the investment into infrastructure, ensuring the development of a first-class tramway system. He was more inclined to take financial risks than his successors; a heavy reliance was placed on borrowing to fund the new electric trams, and he was instrumental in depreciating the entire cable tram system in the first four years of this tenure. His original term of office was for five years; however his term was continually extended. On 18 December 1935 the State Government unceremoniously announced his retirement, Cameron finding out about his dismissal by reading the notice in the newspaper. His fellow Board members protested regarding the lack of courtesy over his dismissal, and they paid tribute to him at his last meeting the following day. Cameron Street in Brunswick, the location of the tram depot built in 1935 for the conversion of the Elizabeth Street routes to electric traction, was named after him in recognition of his dedication to the development of Melbournes tramway system. Cameron died at his home in South Yarra on 23 February 1940. Melbourne, Brunswick & Coburg Tramways Trust (1916-1920). The Fitzroy, Northcote & Preston Tramways Trust and the Footscray Tramways Trust were constructing lines that were not opened until after the M&MTB took over their operations, the lines opening in 1920 and 1921 respectively. Copyright © 2009 Russell Jones. Reproduced with permission.